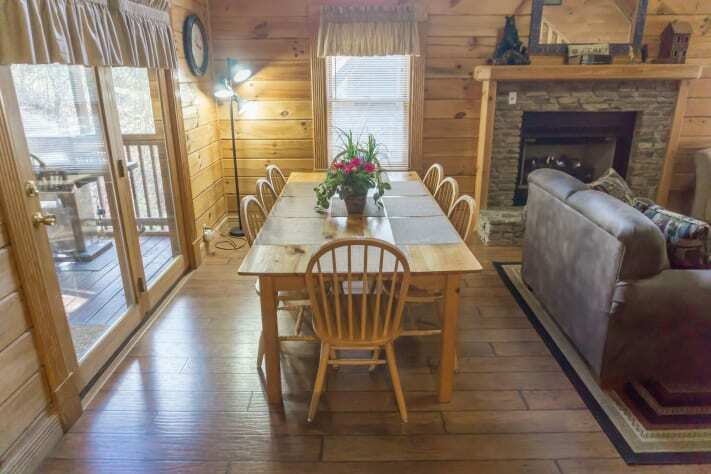 “BEAR CREEK LODGE”is a spacious and comfortable FIVE BEDROOM and FOUR BATHROOM vacation getaway nestled in a log cabin resort community in the beautiful Smoky Mountains. 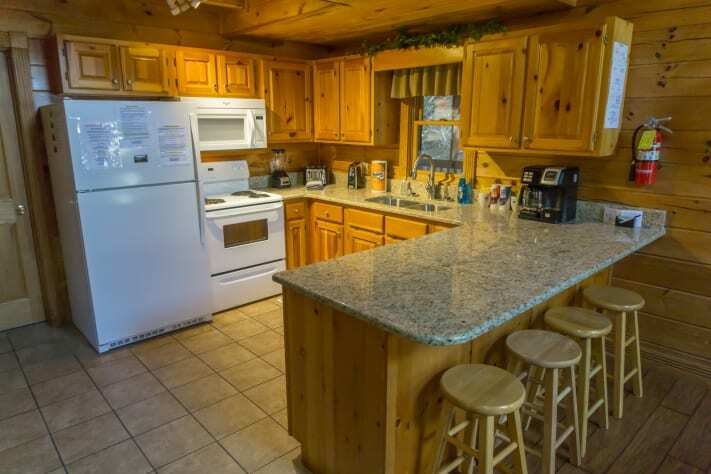 You will love the personality and charm of this rustic cabin that provides ample level parking. 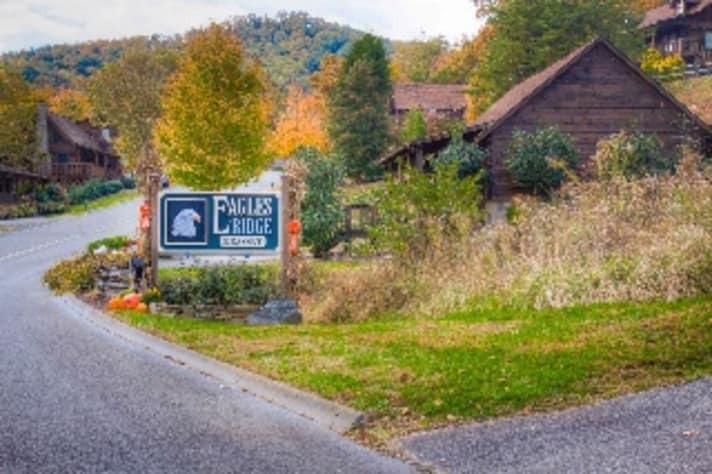 It is conveniently located in the city limits of Pigeon Forge close to “The Parkway” and all the main attractions including Dollywood and Five Oaks Tanger Outlets. 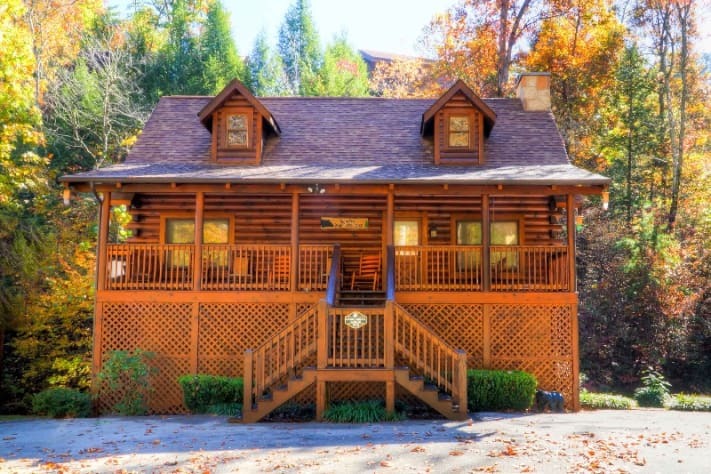 Take a short drive and you will be in Gatlinburg for more fun and excitement. 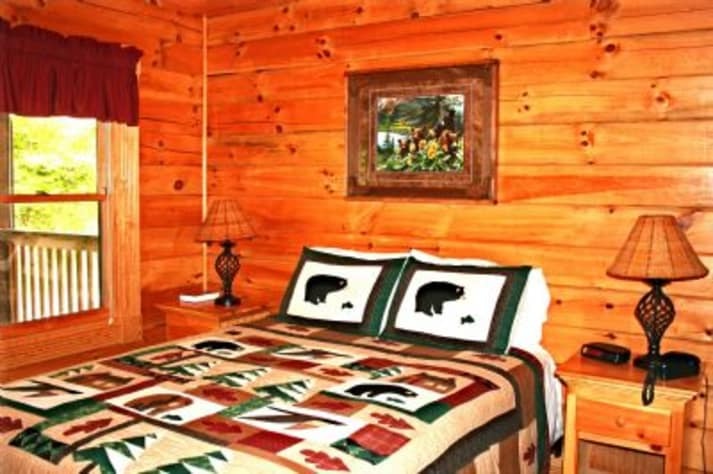 This beautiful log cabin can comfortably sleep up to 14 and allows for privacy even with a large group. An ideal three-level floor plan provides a master suite with king size bed and private Jacuzzi and four additional bedrooms each with queen sized beds. Also provided are two queen sleeper sofas. 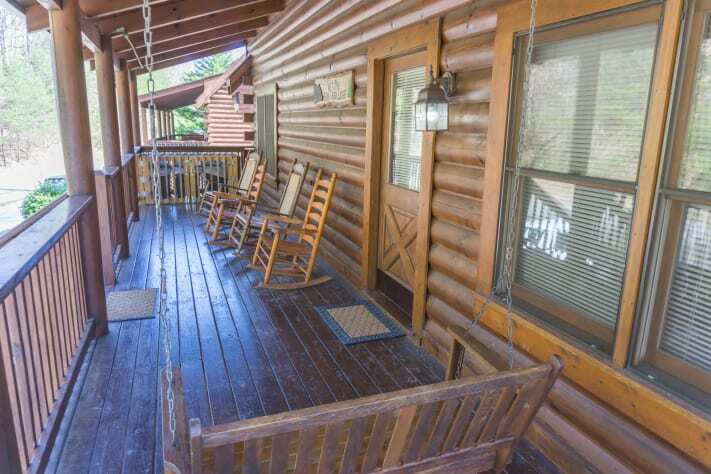 Spend some quality time on the peaceful front porch in our wooden swing or rocking chairs and breathe in fresh mountain air, or enjoy the serene and peaceful time while soaking in the bubbling hot tub on the back screened-in deck. A small stream can be heard trickling from the rear screened-in deck. 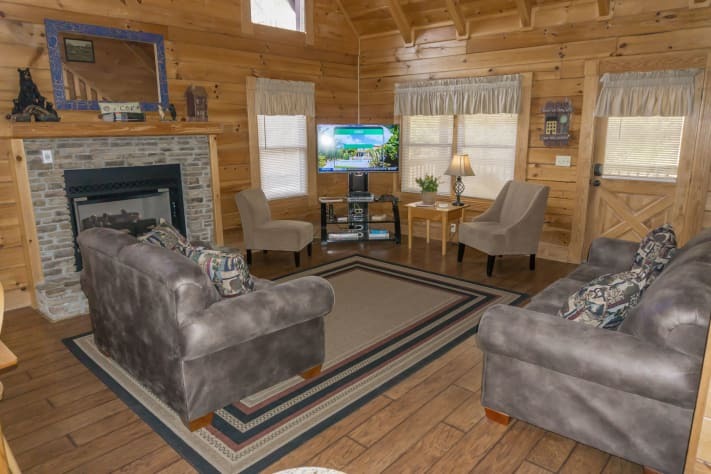 Enjoy the open air design of the great room, kitchen and dining areas where you can entertain, have easy conversation, curl up with a book in front of the warm, stacked stone fireplace, or watch a game or movie on the 42 inch flat screen TV. 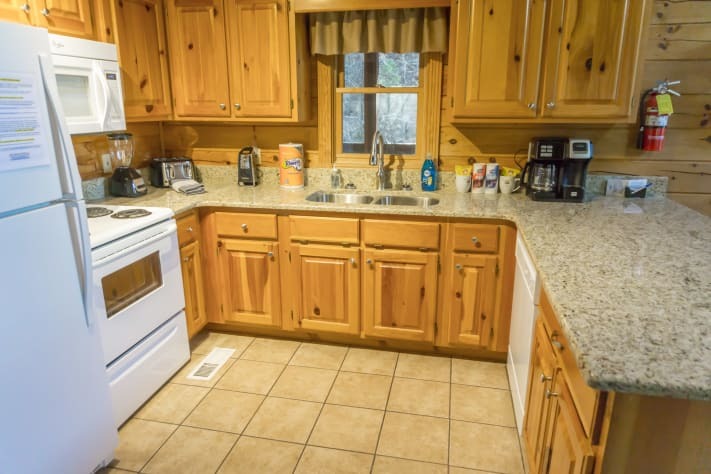 Take advantage of cooking meals in the well-appointed kitchen equipped with solid surface countertops, full size stove and oven, refrigerator and microwave. 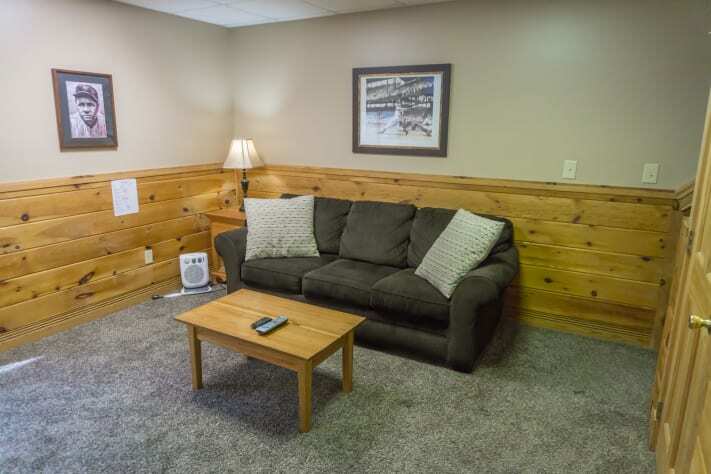 Our cabin provides WIRELESS INTERNET ACCESS, so bring your laptops. 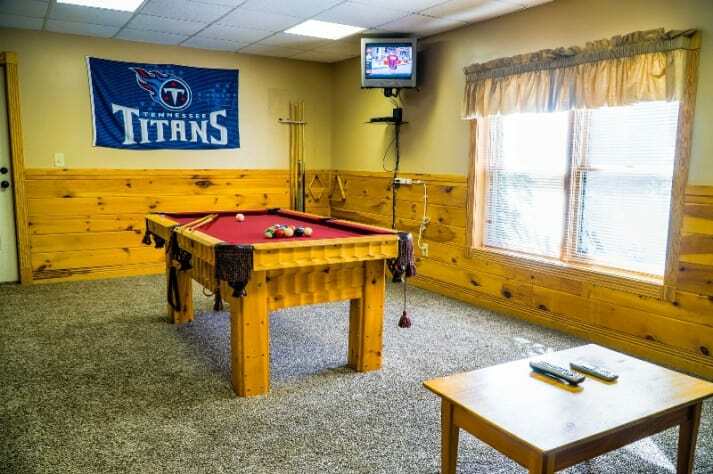 The separate game room offers a pool table and TV and access to the lower level back deck. 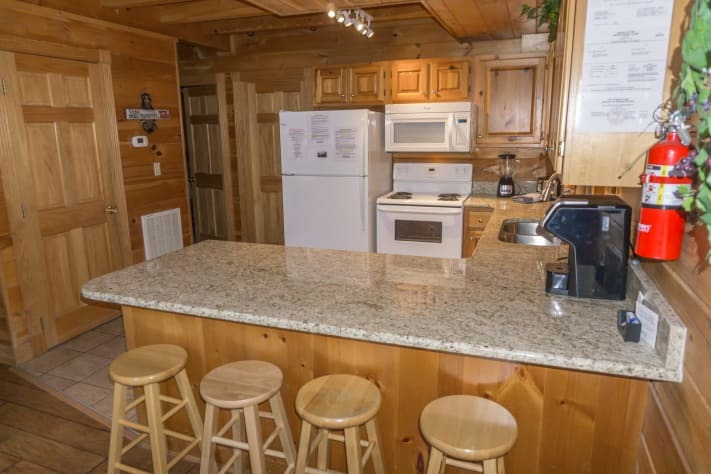 The cabin is also furnished with a washer and dryer for your convenience. 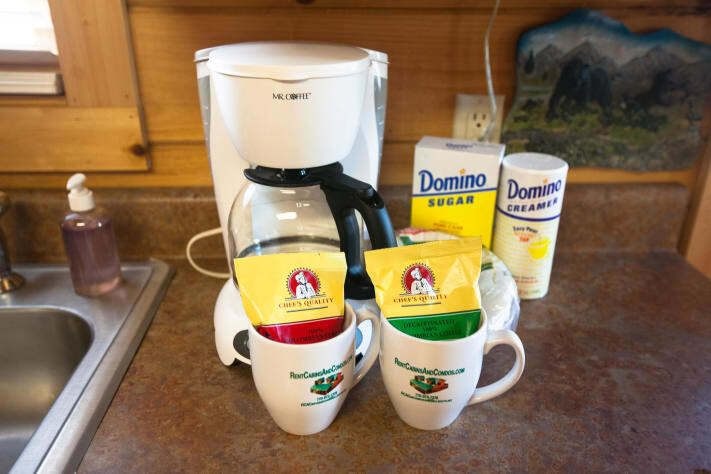 Ideal for church groups, family reunions, corporate retreats or friends who simply enjoy each other. 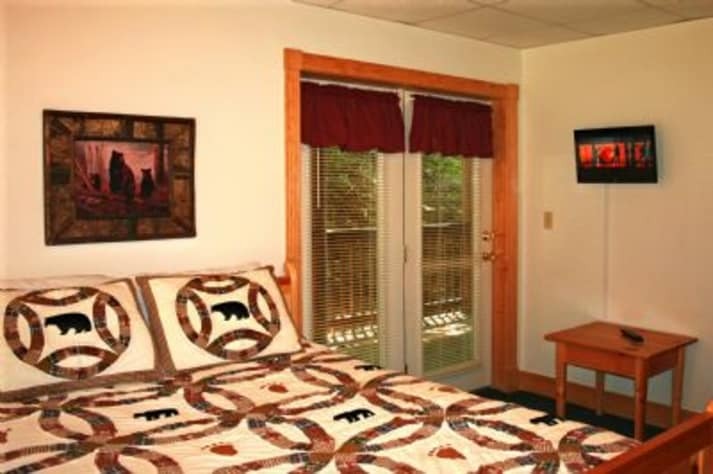 Several wedding chapels are close by, and Bear Creek Lodge is the perfect place for your wedding guests to stay. Come visit Dollywood, the Great Smoky Mountains National Park, Gatlinburg, outlet malls, dinner theaters, lots of restaurants and much more. 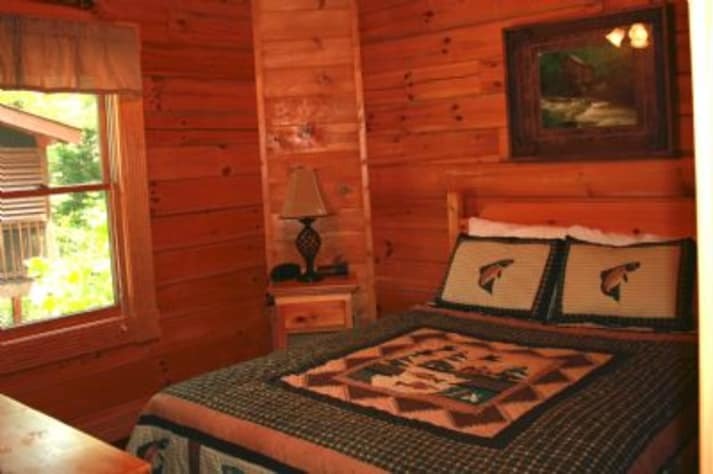 BEAR CREEK LODGE is located just off of the Parkway between traffic lights #3 and #4. 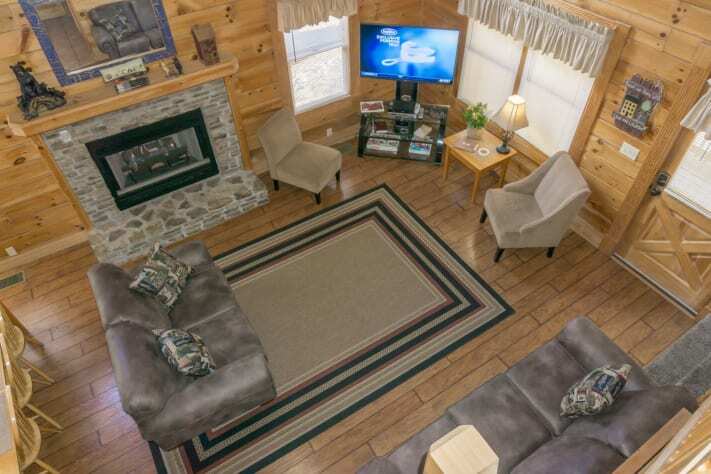 We hope you enjoy your stay at our smoke-free, pet-free cabin. 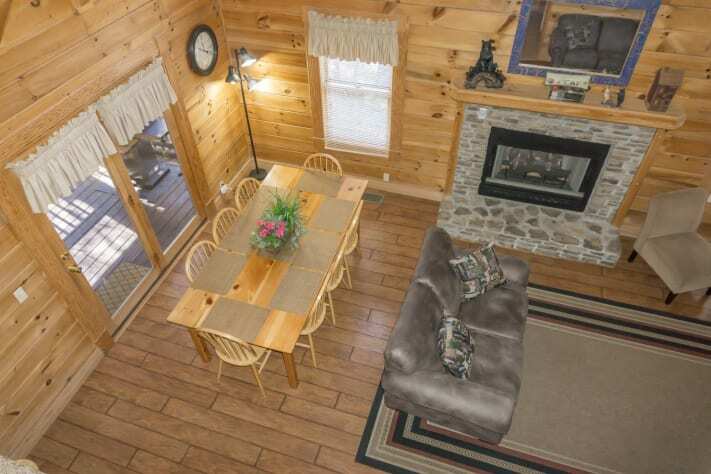 Property was great and large enough for the entire family. Everyone enjoyed their stay and look forward to another visit next year. Even though we encountered rain and snow during our visit to Pigeon Forge, we enjoyed our stay because the cabin was very accommodating. We enjoyed the coziness of the fireplace while watching all the latest movies from our firestick that we brought along for the trip. 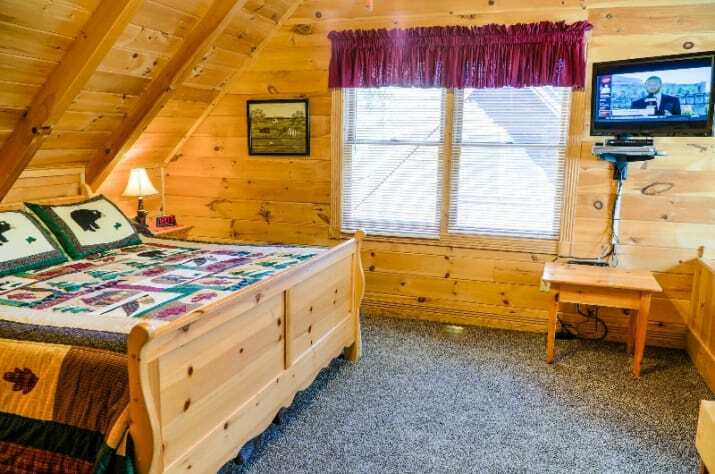 We would surely recommend this cabin for a couples getaway just as we did. We had enough room for everyone. The kids enjoyed the pool table. The location was convenient to activities. This house whas PERFECT for our family weekend away. There was more than enough room for 10 adults and 4 kids, and no one felt like they were on top of each other. I was worried about the kitchen being stocked since we are a family that loves to cook, but there was everything that we could have needed - including a counter top griddle which is a definite bonus when you’re making stuffed French toast for 14!! 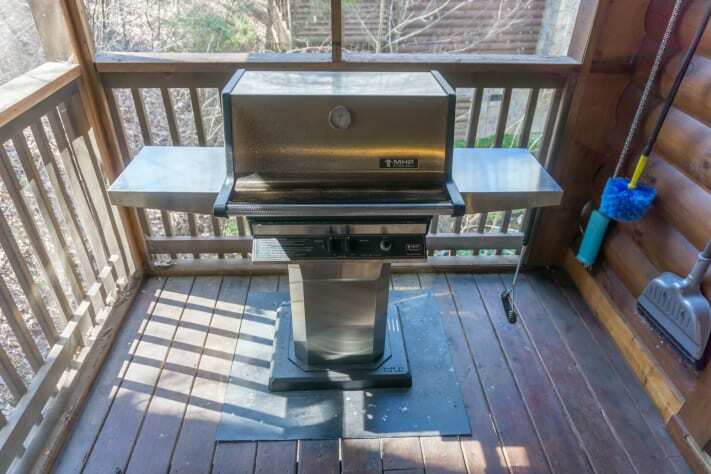 The grill was definitely also an added bonus. The beds were super comfortable, although in the unpsrairs bedroom with the jacuzzi tub, we did have to move the bed out from the wall a few feet. When you are 5’9” and your husband is 6’4”, those beautiful beams above the bed are a sure fire way to end up in the ER with a concussion. The cabin was super convenient to the strip - The only real issue we had was not wanting to go home!! Spacious enough for the 10 adults and 4 children. 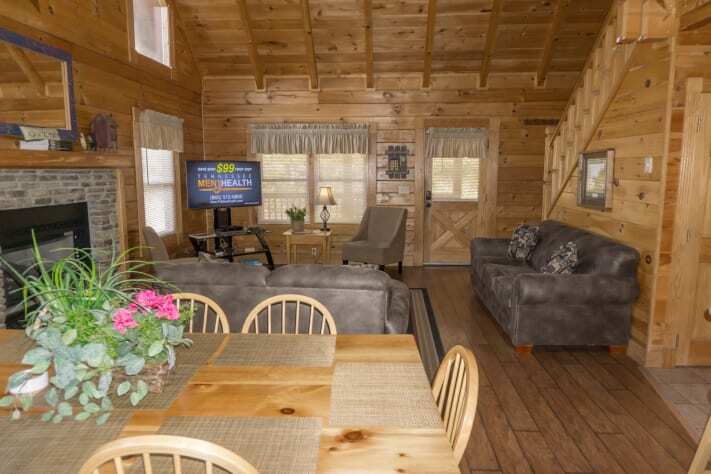 We enjoyed our stay at this cabin including the amount of room, parking, closeness to the parkway, etc. Our family of 4 generations had a great weekend! The cabin was clean and the parking was great! I think that was the best parking we have had over the 10+ years we have been doing our annual family weekends. The owner even called and checked in on us on Saturday to make sure we had everything we needed. 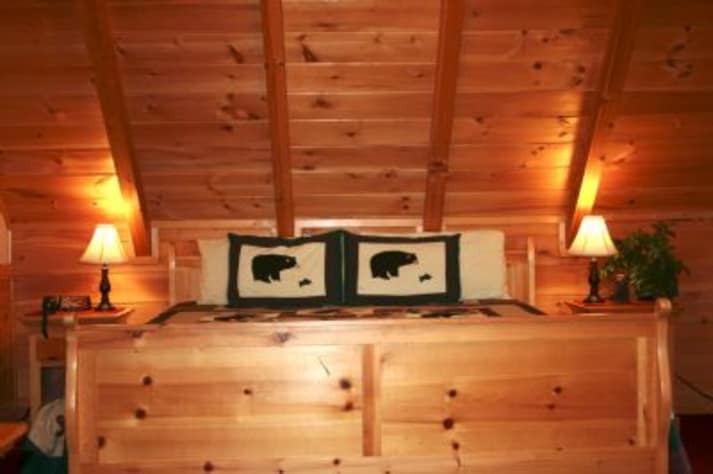 Thank you for sharing your cabin with us! We were there for 3 nights, with a group of ladies. It was extremely nice, that there were 5 bedrooms and 4 bathrooms, which the put the sharing to a minimal, and each person could pretty much have their own space, then congregate in the great room. 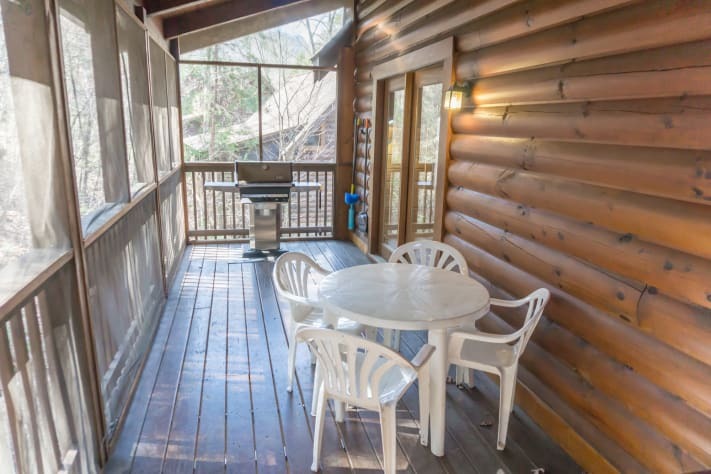 Great location, if you don't want to be up in the mountains, but yet have your own cabin. 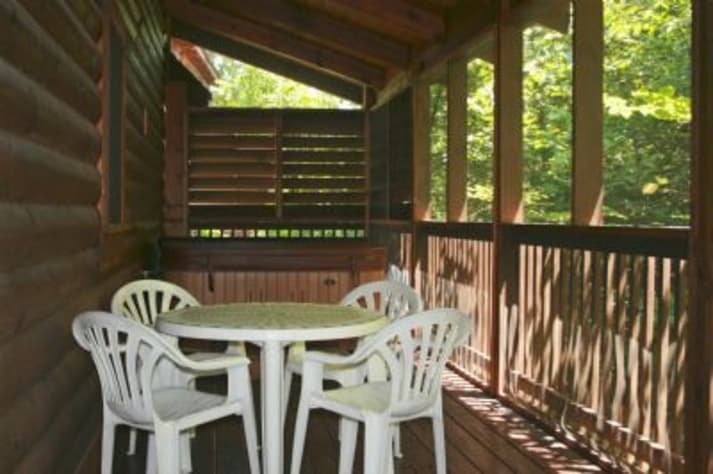 Close to Pigeon Forge, and a short drive to Gatlinburg. Except for the initial difficulty of finding it in the dark, (not lighted well outside to view cabin numbers), it was ideal. Would definitely recommend for a group get away, or a family getaway. Clean and very well kept. We stayed three nights (November 16-18, 2017) at Bear Creek Lodge for our annual Girls' Trip. The ample parking space is a must for our group since we arrive at different times and have multiple vehicles. 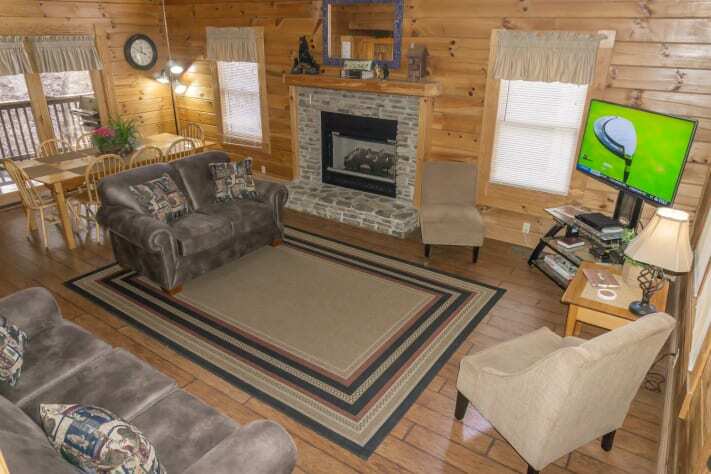 The location of the cabin is perfect for easy access to shopping and other attractions. 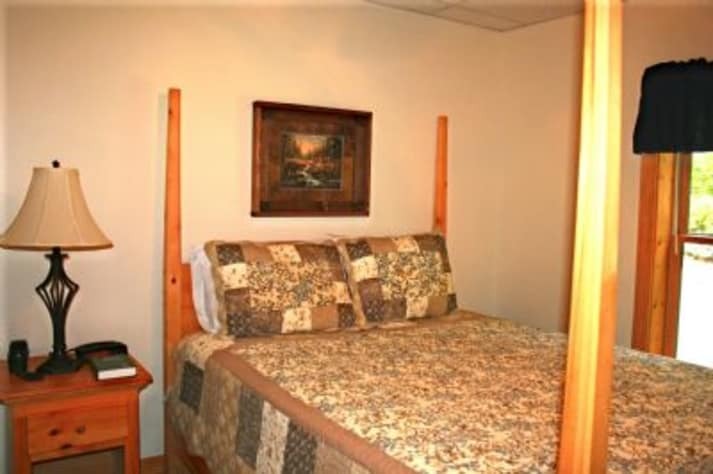 The five bedrooms and four bathrooms provided plenty of space for everyone. However, since we spent most of our time on the main level, a second bathroom on that floor would have been more convenient. The kitchen was well stocked--except I could not find a pizza cutter for our breakfast pizza on Saturday morning. Plenty of glasses, coffee cups, and plates for all of our meals. We thoroughly enjoyed soaking in the hot tub as well as playing pool in the game room. We reported one minor plumbing issue, and maintenance came by to make sure it was not serious. The 11 a.m. check-out time on our last day was very appreciated as we always bring more food than we can possibly eat. And, it allowed us a more leisurely morning to enjoy our time together. Great cabin!